It's no coincidence that Bell is both the first name in speed and the first name in helmets. Born in the 1950s California hot rod and racing scene, Bell founder Roy Richter built an entire industry anticipating the unmet needs of those with a speed-hungry disposition. People wanted to drive fast - he corralled all the go-fast parts he could find into the world's first speed shop. They wanted to race - he built them race cars. And when the need-for-speed started to reveal some grim realities, Roy did something about that too, and Bell Helmets was born. Roy Richter spent his life removing the limit of what was possible - and his unlimited spirit has been Bell's guiding light for nearly 60 years, earning the admiration, trust and loyalty of generations of champions. Throughout those years nearly every advance on the list of helmet "firsts" were built under Bell's auspices including the first protective auto racing helmet and the first full-face motorcycle helmet. 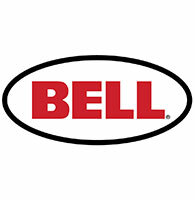 Whether for auto racing, motorcycling or bicycling, Bell is synonymous with instilling confidence and enabling awesomeness. Established 1954, proven ever since. To learn more, visit www.bellhelmets.com.